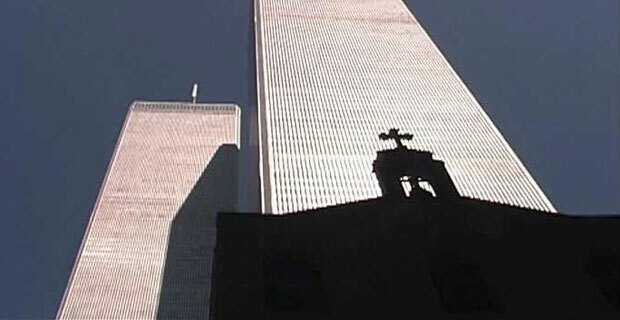 The Wall Street Journal reports that the Greek Orthodox Archdiocese of America and leaders of St. Nicholas Church, a Greek Orthodox Church that has roots stemming back to 1916 and that was destroyed by falling debris after the Twin Towers were attacked, have begun legal action by filing a claim against the Port Authority of New York and New Jersey. The leaders are demanding that the church be rebuilt under the terms of a deal that was worked out several years ago but that the PA has since reneged on. Initially, in 2008, the PA agreed to help rebuild the church, originally located on Cedar Street, in a new but nearby location on Liberty Street. The PA also agreed to contribute $20 million to the project. The deal fell through in March when the PA accused the church leaders of making excessive demands; the church countered that the organization backed out of the deal. In addition to the Port Authority, the claim also names the Lower Manhattan Development Corp. as a potential defendant. Should the Port Authority be beholden to the old terms? Does the church’s suit sound like it has merit?